Milan: Italy coach Roberto Mancini called for tough measures in Serie A after the “unacceptable” racist abuse of Juventus’s Italian international Moise Kean in Cagliari. “We can no longer accept this, we need to act and hard. 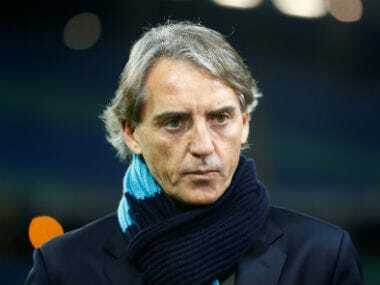 Racist behaviour must be stigmatised,” Mancini told reporters after receiving the Enzo Bearzot Award given annually to an Italian football manager. Kean, along with his French teammate Blaise Matuidi and Brazilian Alex Sandro, were targeted by monkey noises and jeers in Sardinia on Tuesday. But they increased in intensity after 19-year-old Kean scored the second goal in a 2-0 win when the youngster celebrated with his hands outstretched in front of the Cagliari fans. And the Italy coach believes that Leonardo Bonucci was “misunderstood” when he said Juventus and Italy teammate Kean was “50-50 to blame,” to the fury of fellow internaitonal Mario Balotelli. Mancini fears the row over Bonucci’s comments has overshadowed the real problem of racist abuse by the Cagliari fans. “It seems to me that Bonucci’s words have been misunderstood and have been explained by himself,” said Mancini. “Now it seems that the important thing was the controversy between Balotelli and Bonucci, instead of what happened on the pitch. “Kean’s still a boy. Maybe next time he won’t celebrate like he did, but he probably felt in distress. Italy next play a Euro 2020 qualifier against Greece on June 8, which is followed three days later with another Group J clash against Bosnia-Herzegovina.